After three years of daily use, I've decided to give up my Apple Watch for a week to prove to myself how useful and important it really is —or maybe, it isn't. I've been using Apple's wearable since it debuted and for the most part, I've been a vocal fan. Soon, Apple is expected to debut their latest 'Series 4' Apple Watch. Before I jump in head-first and upgrade yet again, I wanted to test myself and see if I truly did need my Apple Watch. Is this something I can't live without, or have I just fallen for my own hype? Before I ditched the watch for a week, there were a few things I wanted to sort out. What did I use my watch for most, and what — if anything — would be the replacement. After closely studying my habits, there are a few things I identified as relying on most frequently. I have a bad history of not paying attention to my phone, and my Apple Watch notifications help make sure I don't miss anything. So, that's high on the list. The Apple Watch has truly helped me stay active. Whether it is making sure I'm not lounging too long on the couch or making sure I head to the gym on a regular interval. Each day I make an honest effort to fill my rings. Possibly most importantly, I'm a Type 1 diabetic and use my Dexcom CGM to view my glucose levels on my Apple Watch. It is useful to see on my watch, but luckily I can still view it directly on my phone. There are plenty of other ancillary tasks I rely on my Apple Watch for such as Siri, hands-free phone calls, heart rate monitoring, HomeKit control, Wallet/Apple Pay, quick access to weather, and more. Though these are all to a lesser extent than the three above. 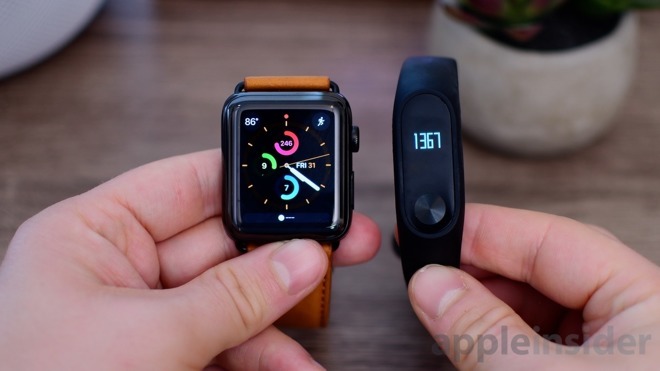 I considered a lot of options for my possible Apple Watch replacement, and I came to the conclusion that I couldn't ditch a wearable completely. I still needed something — however minimal — to help with at least a couple of my frequent tasks. 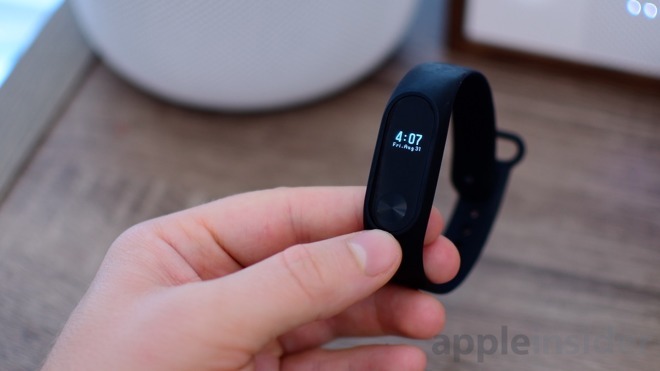 That's why when I shed my Apple Watch, I went with a super cheap fitness tracker that I had reviewed in the past — the Mi Band 2. It has a surprisingly large number of features and I was able to pick it up for less than $30 bucks. Heading into the week, I was getting along just fine with the Mi Band 2. I got notifications for social media, texts, and phone calls. Idle alerts made sure I never sat around too long. It was also easily capable of tracking steps, calories, distance, and workouts throughout the day. It also didn't need charged the entire week, though I plugged it in once just to top it off. My iPhone and HomePod served as suitable replacements for many frequent tasks. Granted, it was ever so slightly less convenient, but I was starting to gain confidence in my ability to forgo Apple's wearable. Comparing the heart rate tracking to my Polar heart monitor also was confidence boosting, with the numbers falling very close to one another and appearing very accurate for such a small and cheap band. Eventually, though, things started to turn. Around day three I started to really yearn for my Apple Watch. Without my Apple Watch I found myself using my iPhone more than in the past. The new Screen Time digital health features in iOS 12 even confirmed that. Since I had to pull my iPhone out for so many tasks, I ended up diving into other apps and wasting more time there than I normally would have. I also missed my Siri Watch face. Sports are just kicking into gear and I missed being able to glance down at the watchOS 5 Siri face and see the score of the Buckeyes, Browns, or Indians game without having to actually launch any apps. I miss having my frequent HomeKit scenes presented before I need to think about them. Leaving to take the dogs for a run/walk was also a bummer. I love heading out, locking the door with my Apple Watch, turning on my Apple Music playlist with my AirPods, and starting a workout. Cellular connectivity means I also am able to get security alerts from HomeKit or my security cameras while I'm away. Mi Band wasn't up for any of this. I went without music once and another time I tried to bring my iPhone but it was super uncomfortable to keep in my workout shorts while running. When I was without my phone, I had a bit of a sense of worry knowing I couldn't be reached and that I couldn't watch after my home. Paying for things was more difficult having to always pull my phone out. When going through the drive-through at Starbucks, I had to unplug my iPhone from CarPlay to scan my Starbucks card rather than being able to have it scanned off my Apple Watch. Minor annoyances, but they add up and ultimately what gives Apple Watch the better user experience. Workouts also provided much less information and Mi Band lacked any of the social aspects found in the Apple Watch. I've several friends using Apple Watch where we compete and challenge one another in our workouts and the Mi Band made me feel a bit left out, and less motivated. 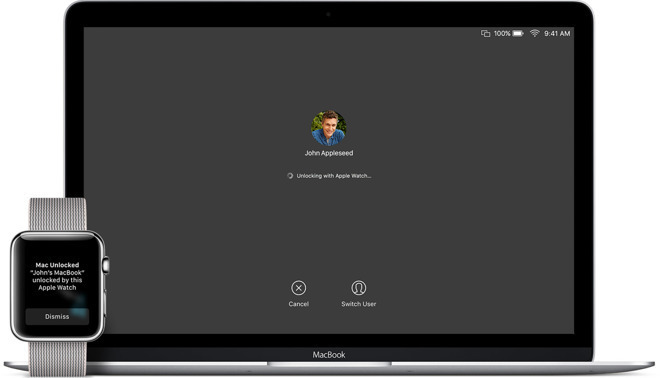 Another thing I noticed right away was that the Apple Watch is a great way to unlock your Mac. It is almost instant whereas even using Touch ID feels like it lags. I forgot about this feature until I no longer had it to rely on. Apple Watch is a personal device. Everyone uses it differently. On the surface, it seemed I could easily replace the Apple Watch with a cheaper, more minimalistic device and get the same outcome. But Apple's blend of features and excellent design make that a lot harder to pull off than I imagined. The Mi Band 2 was a great device. It was a fantastic fitness tracker that is significantly more cost effective than Apple Watch or even a Fitbit. I actually preferred the Mi Band 2 over any of the Fitbit models I've used in the past. Sleep tracking was also something that I've been very interested in and have yet to find an excellent option with the Apple Watch. I've used Pillow, Auto Track, SleepScore (and SleepScore Max) and others but it was nice that the Mi Band 2 had this automatically built in. Apple's Health app syncs with Mi Band so I was able to somewhat keep track of my activity versus others, but it wasn't quite the same. There is one area that I really loved when not having my Apple Watch. I had the opportunity once more to wear other watches. I've quite a few watches I've gotten over the years myself or as gifts and it was a struggle for me to keep my Apple Watch activity streak and to get the chance to sport one of my other timepieces. I always knew I was going back to my Apple Watch. I haven't worn it nearly every day for the past three years for fun. I'm still glad I tried this experiment, though. It reinforced my love of my Apple Watch and helped me put everything into perspective. What I love is that I don't have to force the Apple Watch into my life. It fits and offers me many things from peace of mind, to more workout notification, and lots of convenience. Apple Watch isn't just a simple fitness tracker, but it unlocks your computer, controls your home, finds your phone, acts as a flashlight, and so much more. Right now, the Series 4 Apple Watch looks great. I'm very excited to try out the new complication-dense watch face that got leaked ahead of time because glanceable information is some of the most useful. I can't say with certainty I will be upgrading to the Series 4, but I can say without a doubt I love my Apple Watch.